A new documentary that tells the uplifting story of Pilsen through a group of dedicated residents was unveiled last year. 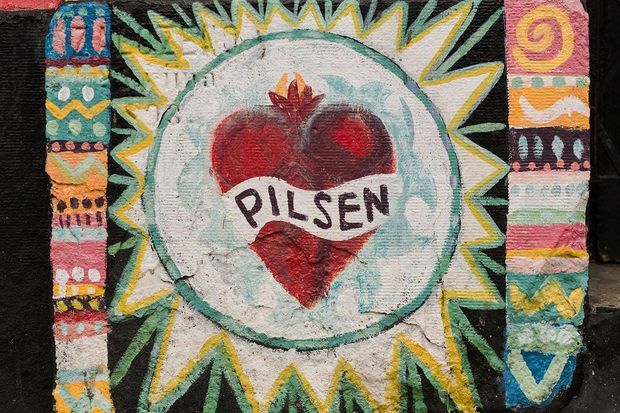 PILSEN — It was 12 years ago when community leaders in Pilsen developed a plan for their beloved neighborhood. But a lot has changed since then, so organizers went back to the drawing board to update their vision and pave the way for the next generation of residents. "We inherited and we fought for this neighborhood, because there was nowhere else for us to go," said Theresa Fraga, the Pilsen Planning Committee's co-chairwoman. "So I would say Pilsen is probably unique in that way." After surveying more than 1,000 neighbors and community members, the Pilsen Planning Committee will reveal its findings at a 9 a.m. meeting Saturday at Benito Juarez Community Academy, 1450 W. Cermak Road. The first Pilsen Quality of Life Plan was created in partnership with the Local Initiatives Support Corp. — better known as LISC Chicago — and released in 2006 after a year of study. The Resurrection Project, Pilsen Neighborhood Community Council, Alivio Medical Center and the 18th Street Development Corp. spearheaded the project. "Those four organizations came together, knowing each one had accomplished a lot, but decided to have one plan so they weren't competing for funds and could send a strong message to the city," Fraga said. The plan itself focuses on several major areas of the community: education, housing, culture, neighborhood economy and retaining families. Advocates credit the plan for helping to secure promises of the El Paseo public trail and getting 25th Ward Ald. Danny Solis on board with requiring developers to include a minimum 21 percent of affordable housing in new projects. Including leaders from neighborhood schools was also a vital component to retaining families, Fraga said. "I'm excited to see what impact this plan is going to have in reassuring people that Pilsen is on strong footing," she said. To Fraga, affordable housing is a top priority as the new plan has taken shape. Fraga arrived in Pilsen in the 1960s, and like other neighbors, scrimped and saved to improve the neighborhood's infrastructure. At that time, her apartment shared a bathroom with tenants across the hall, which made for cramped quarters for a family of six. "Basically, we brought these buildings up to code with no help from the government," she said Wednesday. "We saved our pennies, and we put new life into the neighborhood." Pilsen's rich history of community activism and careful planning makes for a bright future, Fraga said, but she also cautioned that the neighborhood will need new development to keep up with the rest of the city. "It's a double-edged sword," she said of the affordable housing requirement. "So we need to put this in the balance and ask what do we want? Do we want to preserve what we fought so hard for? And how do we preserve it without stagnating the growth?" While Fraga is looking forward to unveiling the new quality-of-life plan, she said it is just a first step in implementing it. The community will continue to provide input that will shape their goals.